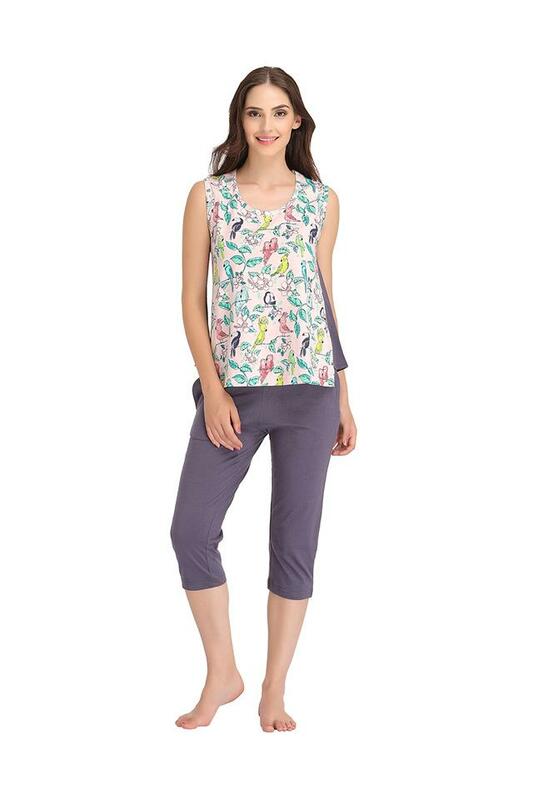 Look like a dream when you wear this top and capris set from Clovia while sleeping. 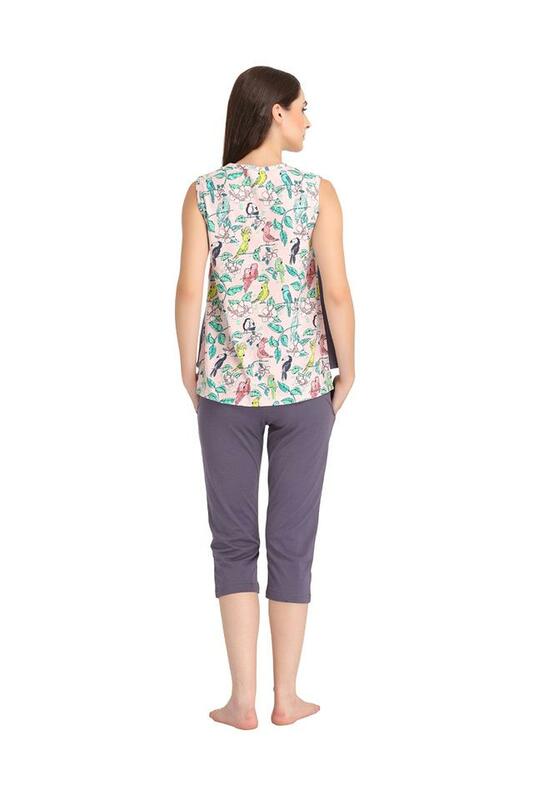 The top comes in a printed pattern, round neck which enhances its style. 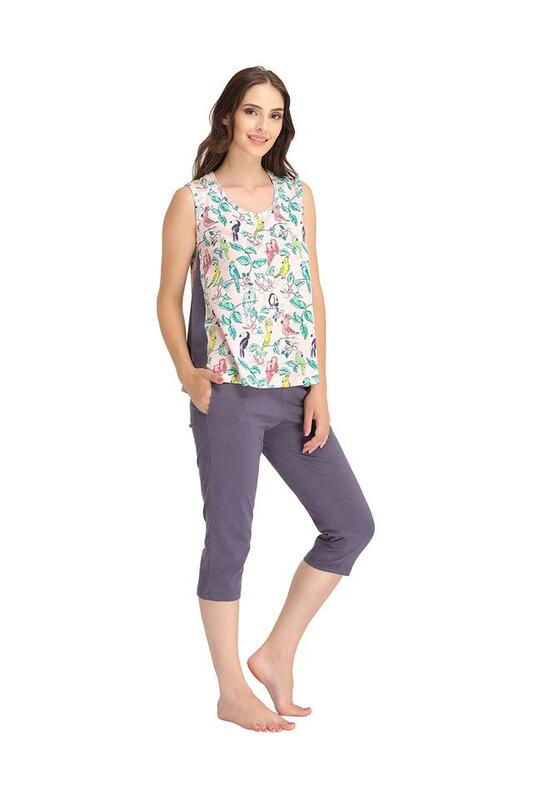 While, the capris comes in a solid pattern, which adds to its appeal. 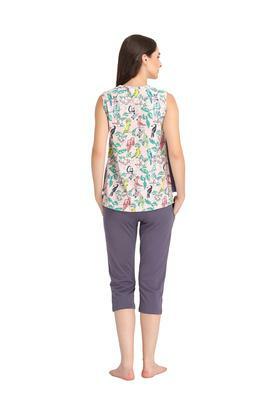 Besides, it has been made from poly cotton fabric which is more comfortable. Make sleep time happy and comfortable with this top and capris set.